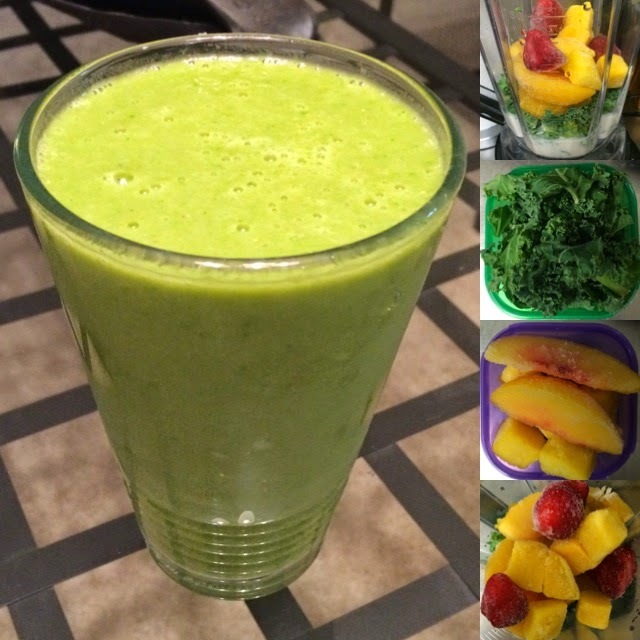 My Success with 21 Day Fix! 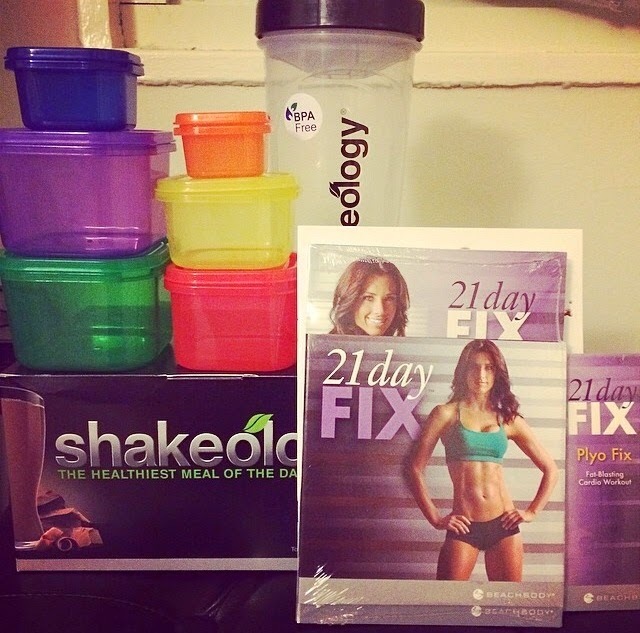 In late May, my childhood friend Stephanie of Pretty Runner, convinced me to try the 21 Day Fix Beachbody Challenge. I've been half-marathon training for my 2nd Half, the GIANT Race on September 7th. I've been on a consistent running schedule for a while now and eating mindfully, but I wanted something to really push me further to get me the results and changes I wanted to see for my body. If you follow me on Instagram, you'll already know that I finished my 21 Day Fix this past Monday, June 23rd . My experience with the program was so successful that I wanted to share it with you all. For those of you who don't already know, 21 Day Fix is a simple eating and fitness plan by Beachbody that lasts 3 weeks(hence the name "21 Day Fix"). It's meant to help you break your bad habits and set you on a better, healthier path. Each day, I did a 30 min workout focusing on different areas of my body. The only equipment necessary was a set of light and heavy hand weights. 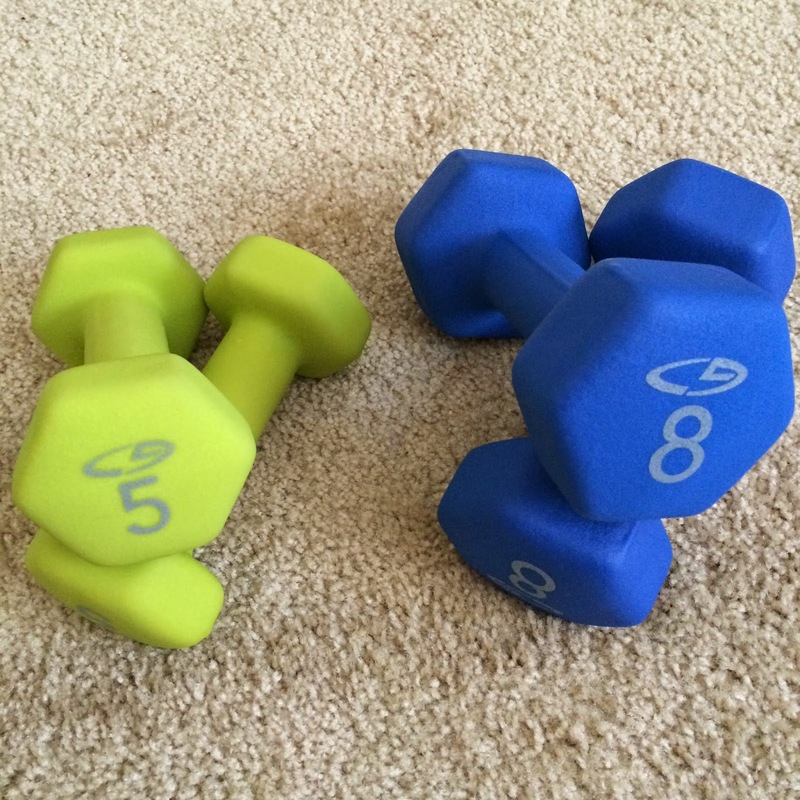 I've never had much upper body strength, so I was thoroughly impressed when I bumped up the weights I was using for my daily workouts from 5lbs to 8lbs. :) I loved the variety of workouts. It really helped keep my body guessing, focusing on different areas and different types of movement. The workout DVDs included: Total Body Cardio Fix, Upper Fix, Lower Fix, Pilates Fix, Cardio Fix, Dirty 30, Yoga Fix, & my Challenge Pack came with an awesome bonus workout, Plyo Fix! 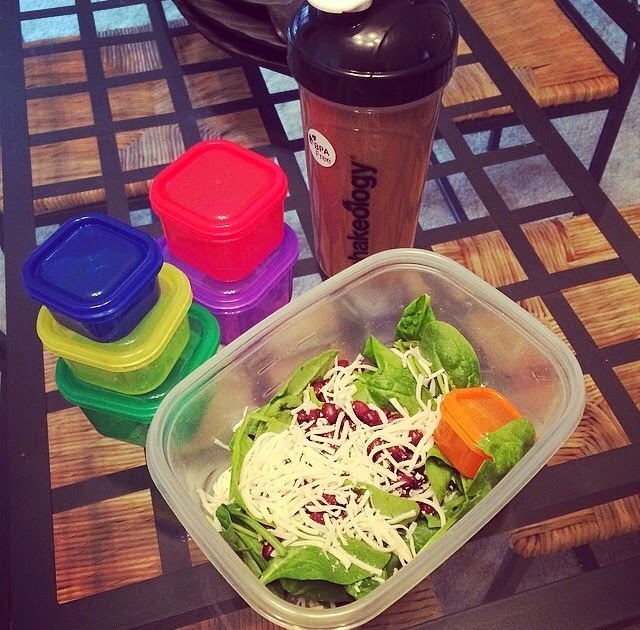 The 21 Day Fix kit comes with color coded containers that are the perfectly portioned for each food group. Based on your weight, you get a certain number of each container per day. 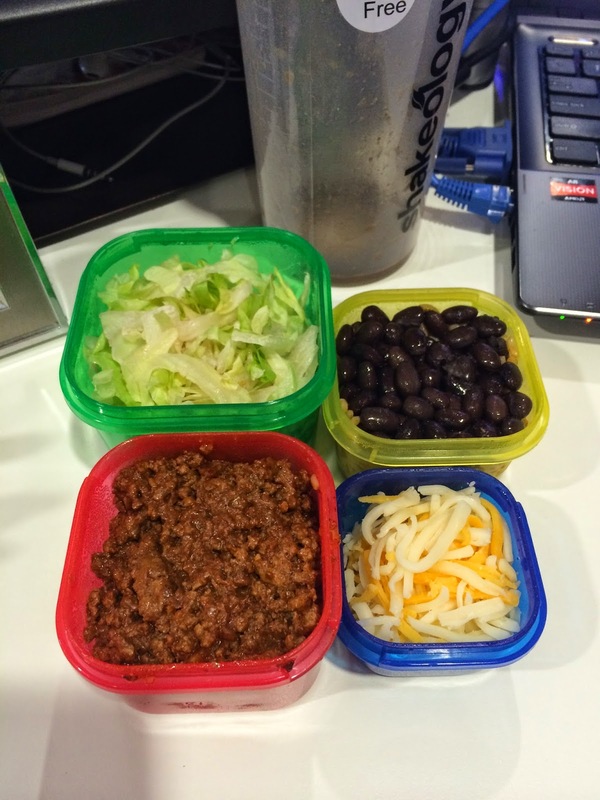 You can mix and match containers to make your meals. There's also an eating guide that has everything listed so you know what foods you can eat for each container, even though the color coding of each container makes it pretty self-explanatory. My Kit also included Shakeology, a delicious super-food shake that helped keep me full, prevent cravings, and refuel my body! I chose the box including 24 packets of Chocolate Shakeology. Also, I was so grateful to my best friend, Jessica, who was kind enough to trade two packets of her Strawberry and Vanilla Shakeology with me to taste and get a bit more variety. I usually wake up and brew a cup of coffee and stick it in the fridge to cool while I get ready to head into work. 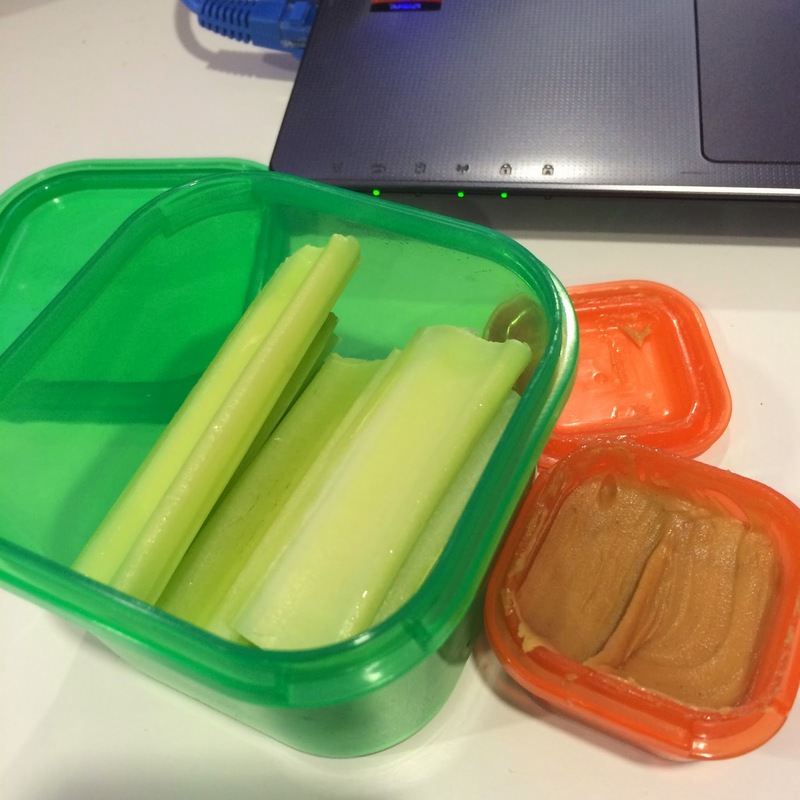 Once I'm dressed and ready to go, I grab my lunch and snacks that I prepped the night before from the fridge. Then, I'll blend my usual 1 cup of cooled coffee with ice & a packet of Chocolate Shakeology. Out of convenience, I take the train to work every day. My office is only two stops away, so I'm usually on and off the train within 6 minutes. 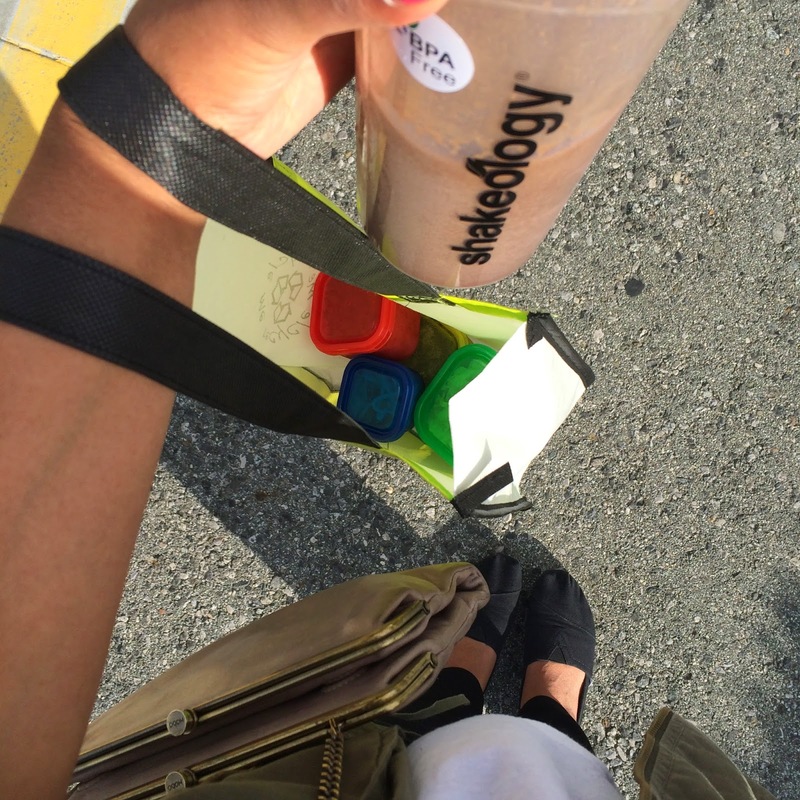 I walk to the train station with my Shakeology in hand, and I enjoy it while I wait on the platform. Around 10:30, I have my morning snack, usually celery & peanut butter. My typical lunch is a salad with spinach, eggs, black beans, and mozzarella cheese with light, fix-approved, Italian dressing. 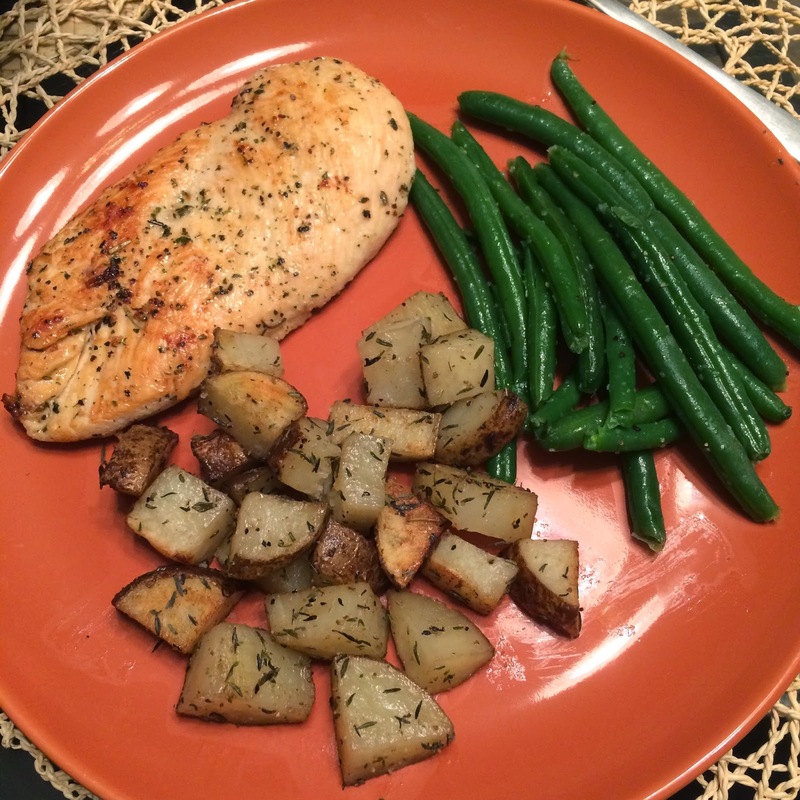 Dinner is usually some lean protein with veggies and carbs. I usually try to eat whatever containers I have left over for the day at Dinner, especially if I've done a workout and a longer run. I found that eating my remaining containers at Dinner time really helped me prevent late night snacking. After dinner, I start my meal and snack prep for the next day. An important part of this program was taking my nutrition very seriously, which I did. I honestly don't think I could have gotten the results I did without consistently prepping my meals and snacks the night before. In the end, I lost 7lbs and 17 inches overall. I've never been one to share pictures of my body on the internet, but I'm so proud of my progress and final results. Overall, this program taught me how much of difference putting in 30 min a day and being very mindful in the kitchen can really accomplish. Even though I'm not on the Fix anymore, I still make an active effort to get my heart pumping each day and incorporate lots of veggies and fruit into my diet. My body has transformed from week to week. I'm so glad and thankful to Stephanie for reaching out to me and recommending this awesome program! Are you currently doing any diet & fitness programs? 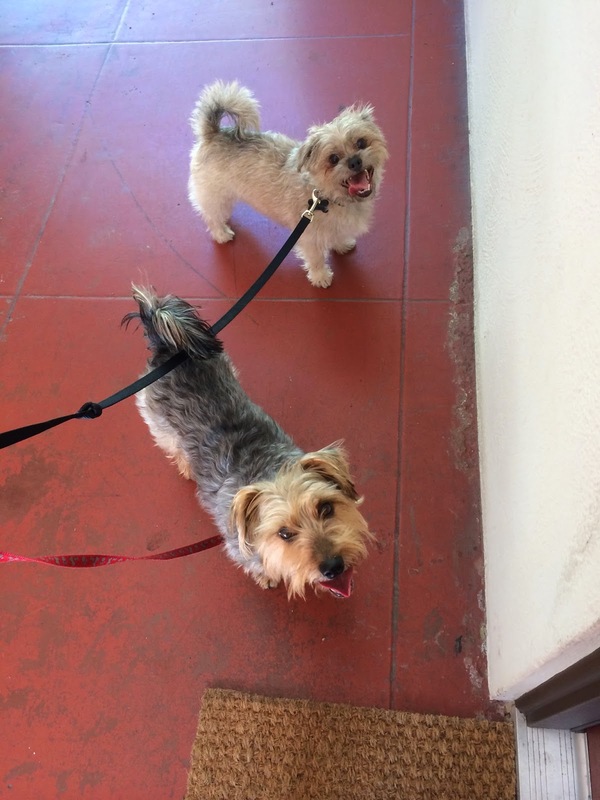 Do you have any healthy diet or fitness tips for me? Let me know what you do every day to stay healthy in a comment below! Revamp your skin this summer with Lemongrass Spa! Before leaving for my work trip this past weekend in LA, I received two awesome, new products from Lemongrass Spa, provided by the amazing, April Aldstadt. Luckily, I had a little space left in my suitcase to bring these along with me. As always, I wanted to make sure to test out these two products thoroughly, before sharing my honest opinions with you all. First off, here’s some interesting info about Lemongrass Spa products! As many of you already know, I’ve been on the hunt for a new eye cream, so I was lucky to receive this awesome Hydrating Eye Crème with Cucumber Extract. In my night time skin care routine, I like to apply my eye cream after applying any serums. If you don’t use serums, feel free to apply your eye cream after toning, but before moisturizing with any heavy lotions. Your eye area is extremely delicate and sensitive, so you want to make sure to use the right products for your particular skin type and/or skin needs. Luckily for all my readers, the Hydrating Eye Crème with Cucumber Extract is great for all skin types! The cucumber extract reduces inflammation and irritation, so say goodbye to itchy or puffy under eyes. It also helps reduce the appearance of fine lines and wrinkles, as well as improving the elasticity of your skin. I’m only 27, but to me, it’s never too early to prevent premature signs of aging! Lastly, I forgot eye makeup remover on my trip to LA. This Hydrating Eye Crème actually doubles as a makeup remover. After a long, tiring workday, I was so happy I didn’t have to go out and buy makeup remover. It was so convenient that I had this on hand, since I always look forward to taking my face off at the end of the day. Don’t you?! Next, I want to share with you all the Pomegranate Facial Polish! As you may already know, exfoliating is my favorite part of my skin care routine, so needless to say, I was extremely eager to test this out! First off, I want to say that this stuff smells AMAZING! If you’re not fond of fruity scents, or don’t like scented skin care products in general, don’t worry! This is available scented and unscented. With dry skin, I exfoliate twice a week. Once a week, I deeply exfoliate with my Clarisonic Mia, and again as needed with a normal face scrub, like this one. I don’t like packing my Clarisonic for quick weekend trips, so I was glad to have this with me when my face craved a good scrub. As the craziness died down by Sunday evening, I used this while in the shower, and I gave myself a mini facial. I took about a quarter-sized amount in my fingers then applied it to my face, gently exfoliating in small circular motions for about 1-2 minutes. I was happy to discover the tiny, natural jojoba beads that slowly removed the dead skin cells from the long weekend from my face. I emerged from the shower feeling refreshed and woke up to a gorgeous, glowing complexion! If any of you are looking for new products to change up your current skin care routine, I’d definitely suggest picking these up at Lemongrass Spa! If you don’t have dry skin like I do, feel free to browse around for other products that will work better for your particular skin type. Check out the website today, and let me know what products you’d like to try in a comment below!